The workforce of the future will need more well-trained STEM professionals. American innovation, productivity and global competitiveness depend on it. Girl Scouts knows that girls are America’s great untapped resource. While women make up half of the total U.S. college-educated workforce, they hold only 29 percent of science and engineering jobs. 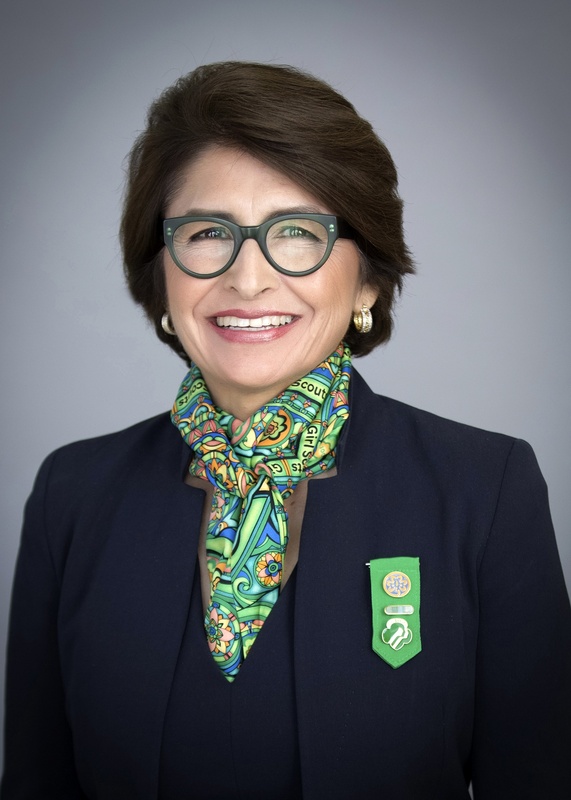 Girl Scouts is expanding its reach and impact, doubling down on the commitment to fuel this pipeline and ensuring that our country remains strong, dynamic and competitive in the industries of the future. As the Quad Cities community works to develop a talent pipeline and ensure that young people are equipped to fill jobs of tomorrow, Acevedo will share her perspective on the role we all play in ensuring the next generation is prepared for jobs and leadership. Over the years Sylvia has spoken across the country about the importance of helping girls discover their strengths, passions, and talents. Sylvia is a member of the President’s Advisory Commission on Educational Excellence for Hispanics and serves as chair of its Early Learning Subcommittee. She understands the U.S. education system and the challenges parents face in their children’s educational journey, and has traveled nationwide, talking with educators about the Houghton Mifflin Harcourt Family Engagement curriculum, which she authored to help narrow academic achievement gaps in America. She is currently developing an aspirational memoir for middle school students that promotes STEM. A talented technology executive who has held positions with some of the world’s most respected companies, previously Sylvia was the founder, president, and CEO of CommuniCard LLC, a marketing firm known for its innovative approaches to working with changing community demographics. Prior to that, she served in executive and business development roles at REBA Technologies, Dell Computer Corporation, Autodesk Inc., Tandem Ungermann-Bass, Apple Computer, and IBM—and she began her career as a rocket scientist at NASA’s Jet Propulsion Laboratory. Sylvia was one of the first Hispanic students, male or female, to earn a graduate engineering degree from Stanford University—an MS in industrial engineering—and she holds a bachelor of science degree with honors in industrial engineering from New Mexico State University.